I only knew one thing about Ginger when I was growing up. She, along with MaryAnn, the Professor, and a couple other people were stranded on Gilligan’s Island. Although, I suppose had I known about the edible ginger at that time, it too would have been stranded, this time in our kitchen. Now fast forward many years, the above-mentioned Ginger was rescued and I finally discovered that the other ginger is something not to be ignored. It works beautifully in many main course dishes, but it still took me a bit longer to realize how delicious ginger is in breads and desserts. I realized that I love ginger in pumpkin pies and Nana’s Spicy Smile Cookies (to be posted in an upcoming blog,) but was not quite sure if I really wanted ginger to be THE standout ingredient in bread. 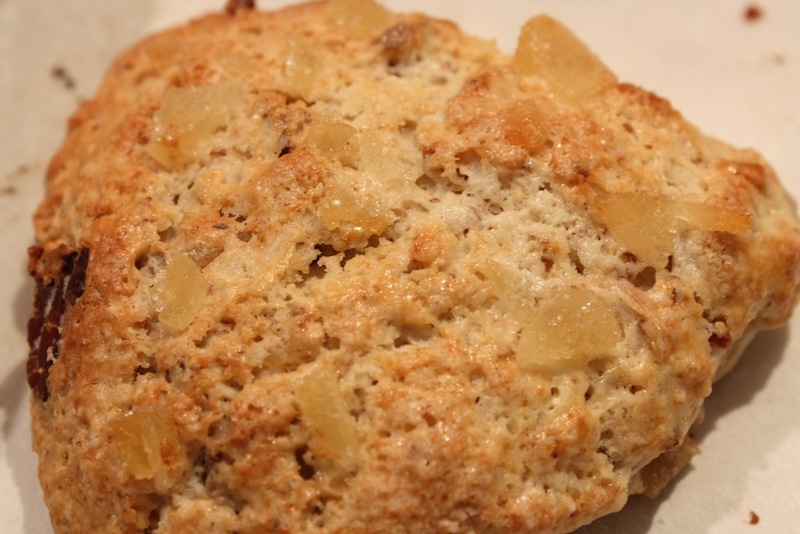 Then I found these Ginger Pecan Scones and all doubts drifted away. I would imagine that it was the crystallized ginger that did the trick. After all, I do not know anyone who eats ground ginger powder by itself. There are those who love eating ginger root slices, but the crystallized ginger will woo those of us who love sweets. 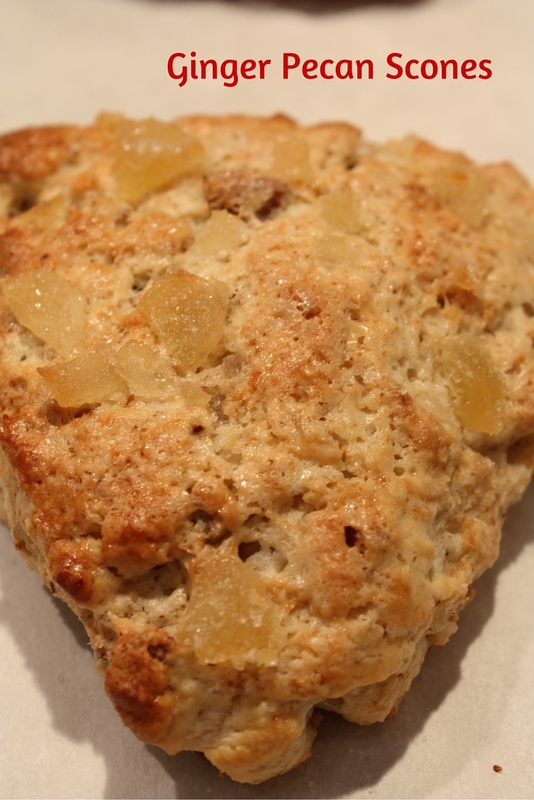 Regardless of which category one fits into, all is well with these Ginger Pecan Scones because they include three styles of ginger so everyone can be happy. As an aside, I doubt that I will ever pick up a piece of ginger and munch away, but I can be convinced to try ginger in new ways. Recently a friend of mine told me to try a small slice of crystallized ginger eaten in between two pieces of dark chocolate. Guess what? It is quite delightful. So, there are two conclusions to be drawn from this…(1) Everything is good with chocolate; and (2) Ginger spices desserts up too! Preheat the oven to 425°. Arrange oven racks to the lower third and upper third of oven. Line two baking sheets with parchment paper and set aside. In a large bowl, whisk together flour, ⅔ cup sugar, baking powder, ground ginger and baking soda. Add the butter and blend into the flour mixture, using your fingers, until it resembles coarse meal. Mix in pecans and ½ cup crystallized ginger. Combine 1 cup buttermilk with fresh ginger and vanilla extract. Add to flour mixture and use a large fork to combine. Fold together with hands to form one ball. Divide ball in half. Place one half onto a cutting board and form into a disk about 6” wide. Use a sharp knife to cut the disc into 6 wedges (three cuts across to form the triangles, rotating the cutting board after each slice so the triangles are fairly even.) Transfer the six triangles onto a baking sheet. Repeat with second wedge and transfer to the other baking sheet. Brush each wedge with the remaining 2½ tablespoons buttermilk. Sprinkle with 1½ tablespoons sugar and ¼ cup crystallized ginger. Bake at 425° for 20 minutes, rotating the pans halfway through, top to bottom and front to back. Cool completely on the baking sheet. The coarseness of the chopped ginger is a personal preference. If you love chunks of ginger, coarsely chop. If you like the subtlety of the flavor, chop more finely. Ginger Pecan Scones will spread while baking. Thanks for sharing this recipe. I ate one of these every day last week; it was a VERY good week 🙂 The three different types of ginger truly make these outstanding. This sounds delish. Out of my chocolate comfort zone but you have enticed me to try it! Excellent to hear Barbra. As a fellow chocoholic, I would recommend trying a little piece of the crystallized ginger sandwiched between two pieces of your favorite chocolate. 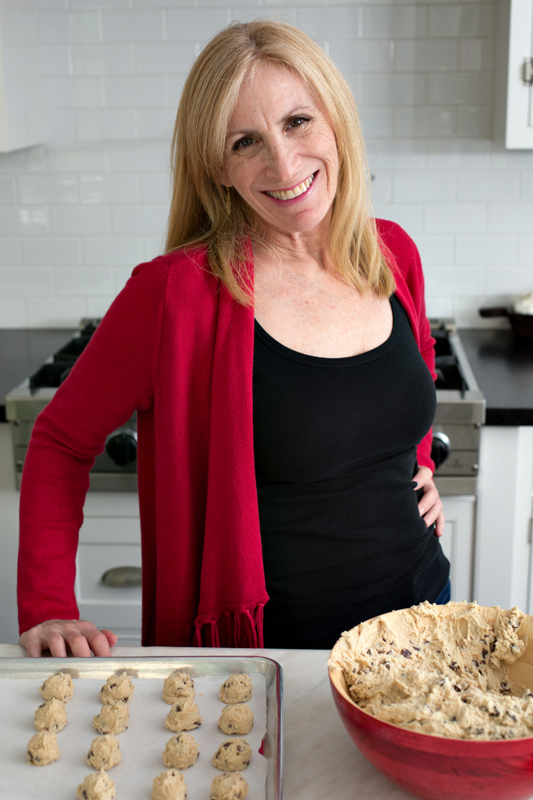 After all, why not put the leftover crystallized ginger to work for you?